Fancy a photo booth for your wedding but cannot afford it? There are many fantastic photo booths out there but it is often a price question. 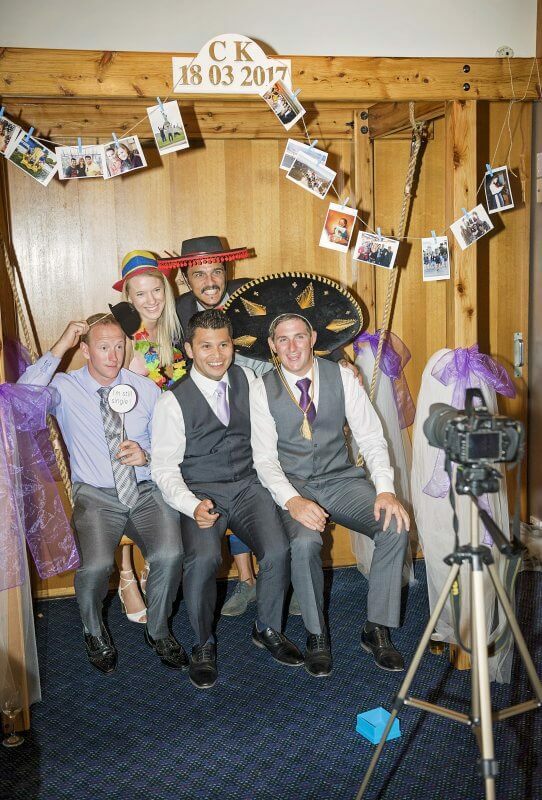 I will therefore share 3 ideas for DIY photo booths that are fun and cost effective. Polaroid: Get a Polaroid camera with films. Create your own portable photo booth frame out of cardboard. Decorate the frame with flowers or just pretty drawings. Nominate a person that will walk around with the camera and frame to picture people or put it on a table with a sign. Set up a digital camera on a tripod and get a remote control. Create your own photo booth backing, for example decorate the wall, set up your arch or use a stylish couch/furniture piece. Put disposable cameras at each table and ask your MC to announce it. All three options are much cheaper than getting a photo booth and the good thing is you can have them all night. This entry was posted in Weddings and tagged budgetwedding, DIYweddins, savemoney\, weddingphotobooth.